The Laba Rice Porridge Festival is a Chinese traditional festival, which indicates and carries people’s wishes that the next year would be a harvest year. That is the reason why SBM decided to hold its Annual Award Ceremony on that day. Two parts are included in this ceremony, one is review on teamwork of the whole past year, the other is to award those outstanding team-workers. 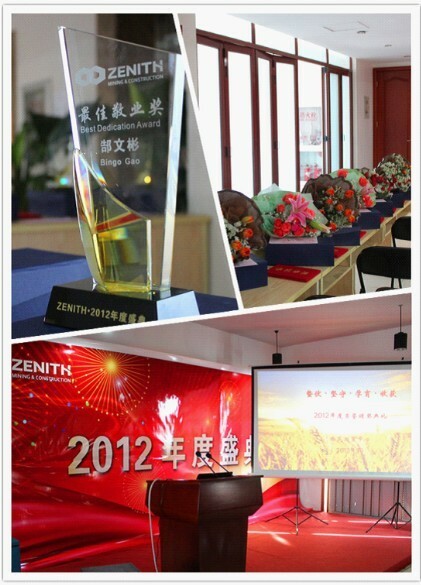 With the loud and clear voice of team slogan, the Annual Award Ceremony 2012 launched in ZENITH. Ten prizes, such as "Dedicated Staff", "the Most Popular Staff", "The Most Valuable Prize", "Good Service Staff", "Pioneer on Culture Construction", "Sales Star", "Annual Special Prize", were awarded in the warm applause of ZENITH. 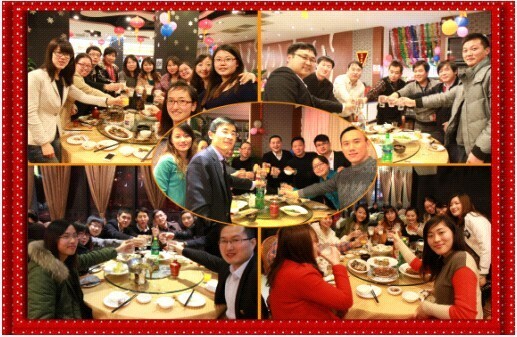 When looking back to the year 2012 through which ZENITH team walked hand in hand, Mr. Zhang, Director of Sales Center summarized in four phrases, "in the face of adversity, we did not fear; in the face of difficulties, we did not shrink back; in the face of competition, we did try our best; in the face of opportunities, we did grasp fast and tight." At the same time, he also inspired ZENITH-ers to work hard together in the New Year for the mutual benefit, forming an exclusive "ZENITH style". After the Award Ceremony, ZENITH family dinner started. Both jingle of wineglasses and warm lighting addressed that ZENITH has fully prepared for the year 2013. They believed that only sowing a season of hope, cultivating a season of patience, can they hug a season of harvest, and embrace the eternal glory. All ZENITH-ers wish a higher fly in 2013.